Today I tried to the advanced yoga class for 30 min. It was so heavy. I have done the advanced yoga for 15 minutes and that was fine, but the 30 min class was super heavy. So fun though. I often mix classes and do 15 minutes of advanced strength and do 15 minutes of intermediate relaxation after that. When I've done one class for a while though, I always think it's really great to try a new one that I haven't done before. In the advanced 30 min class there were even some poses I couldn't do. I think it's fine though, it's nice to have goals. Every week I have a day "off" where I can eat whatever I want. That day is today. 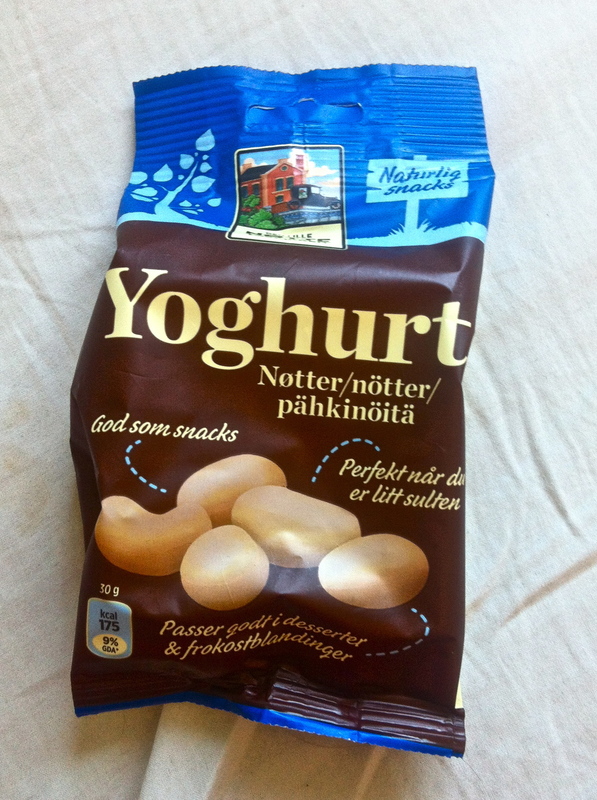 I always indulge with dark chocolate and a new love: Yoghurt nuts. 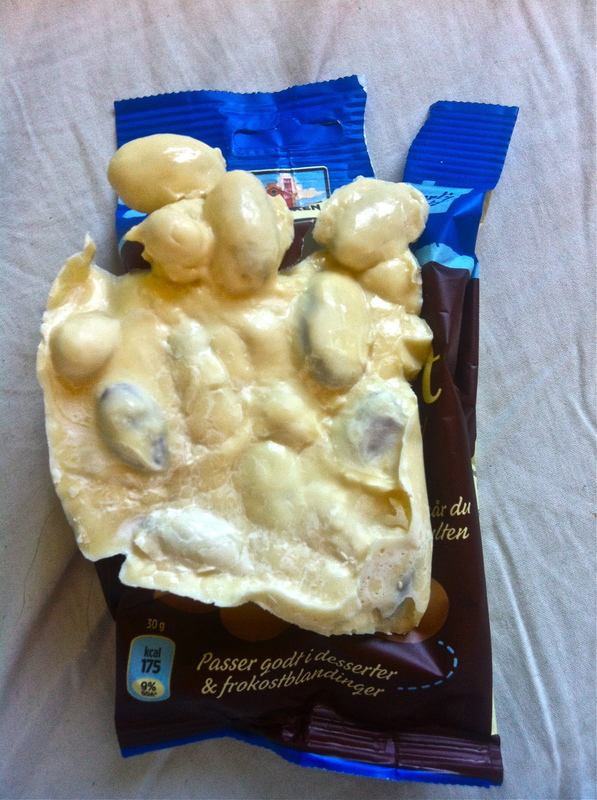 Still tasty, though! I also like eating a lot of fruit. Before I started counting calories I did not realize how many calories there are in fruits. I don't like limiting the fruit intake because I feel so great when I eat fruit. It lifts my mood, makes my skin better, gives me energy and so on, I really feel like that works for me. But now I try to eat more vegetables and stuff too. Before, though, I could easily eat two bananas in a row thinking it was just healthy without realizing I ate more than 200 calories. I don't think bananas are bad at all though. Right now I'm working on shedding a few pounds, but when I'm done with that, I'm going back to eating lots of fruit and drinking regular coke, haha! I love regular coke and I don't like so much drinking something I know has been made in a lab like Diet Coke. Then I think real sugar is actually way better, but in modest amounts of course. My real guilty pleasures is definitely pizza and milk chocolate. They both make me feel happy for a really short period of time and unhappy in the long run, haha! I would never try to stay away from chocolate, but pizza I don't eat so often anymore. Food always affects my mood a lot and I get really moody after I've eaten pizza for some reason. If I workout the morning after having pizza I always feel really lazy as well and it's really heavy to do. Right now I'm my VS robe enjoying my yoghurt nuts.